Vic Saier started his professional career in 1910. In his first season, with the Lansing Senators, he led the Southern Michigan League in hits, doubles, and total bases and he was purchased by the Chicago Cubs for $1,500. Saier joined the Cubs in 1911. During his rookie season, starting 1st baseman, manager, and future Hall of Famer Frank Chance (Tinkers-to-Evers-to-Chance) got injured and Saier replaced him. Led National League in Triples – 1913. 6th in National League MVP voting in 1913. 2nd in National League Home Runs (18) in 1914. In July, 1915, Saier was leading the league in RBI when he suffered a leg injury which hampered his play and re-injured his leg in early 1917 that sidelined him for almost a year. 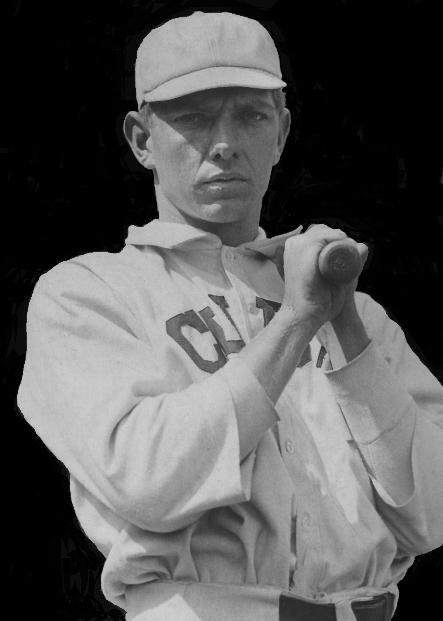 He returned in 1919 with the Pirates, playing in 58 games.